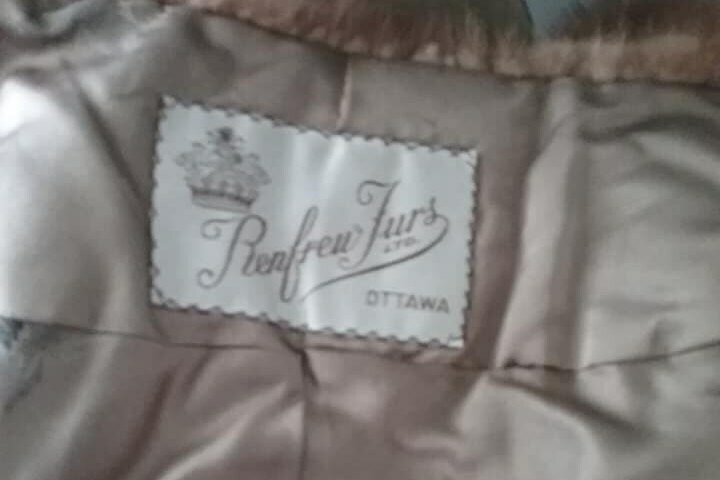 Vintage mink stole by Renfrew Furs, Made in Canada. 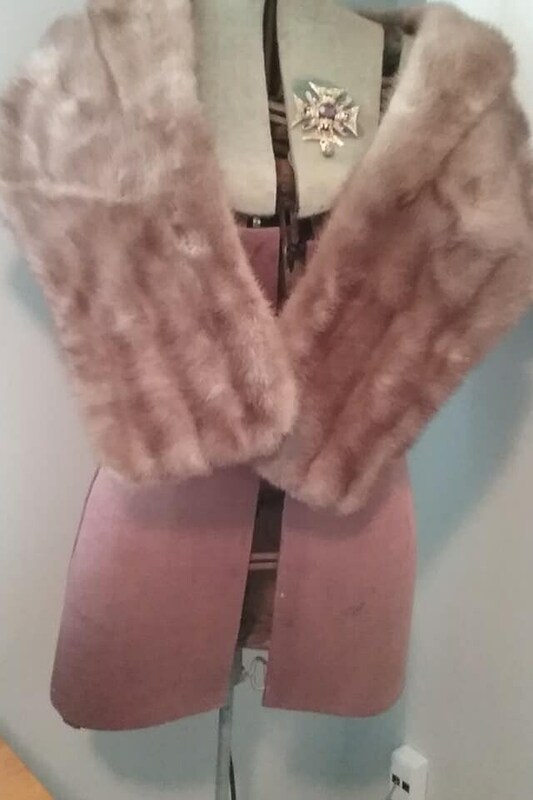 Luxurious, vintage mink stole made in Ottawa, Canada. 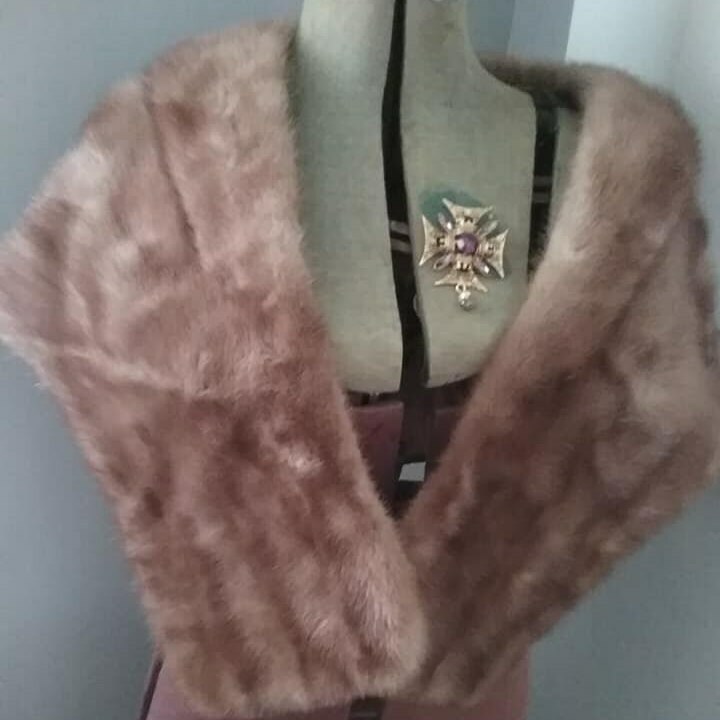 Excellent vintage condition, the lining is a beautiful, decorative beige satin with black outlined leaves, and has been monogrammed. The lining is clean with no issues. 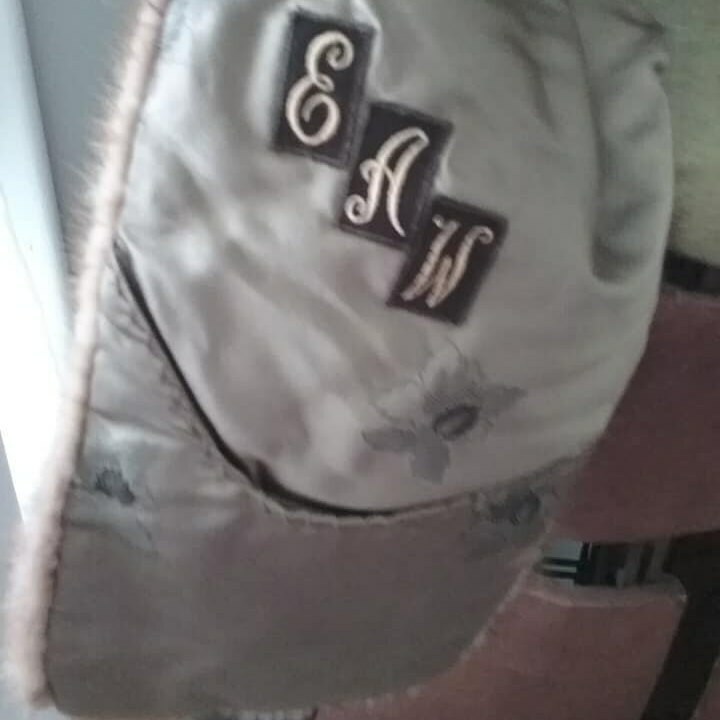 As all fine furs created last century, there is a vintage monogram on the interior lining (with the initials, E A and W). Wrap yourself in luxury and pure glamour ! 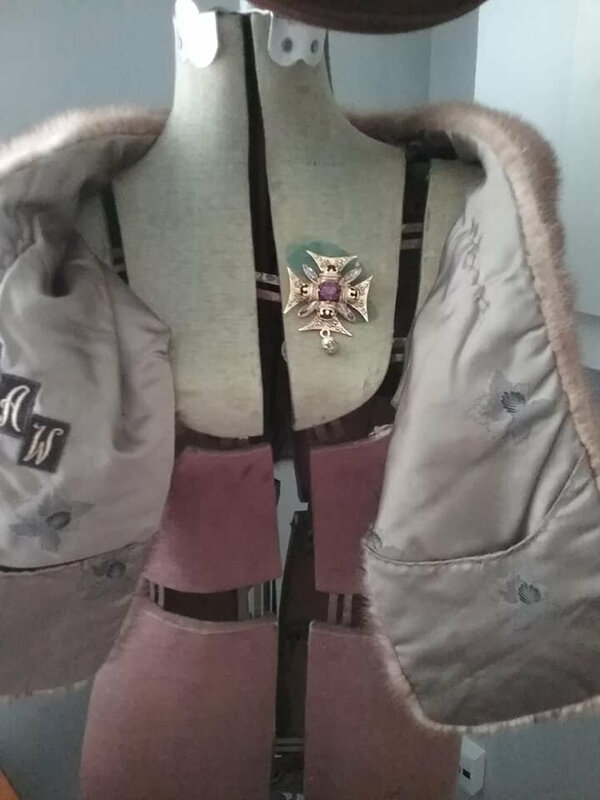 Two pockets are made on the inside ends to tuck either end in, as opposed to fasteners. 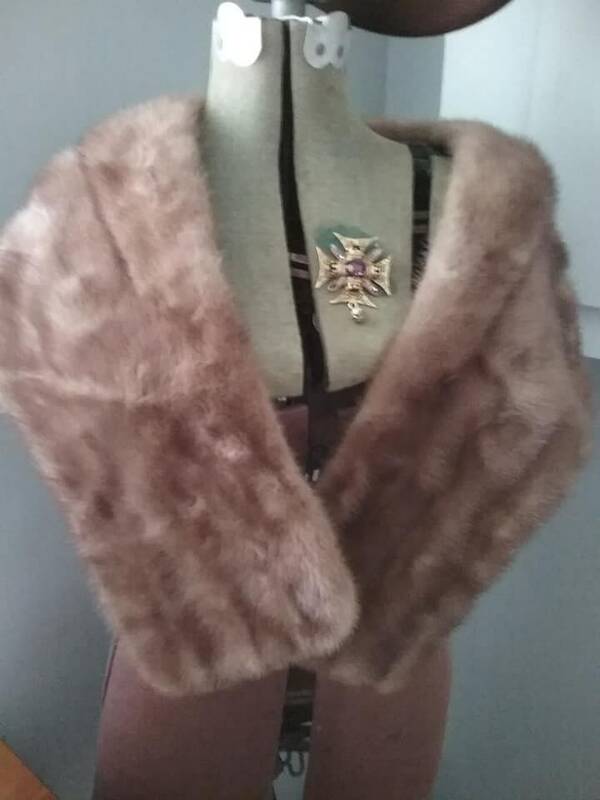 Beautiful attention to detail can also be seen on the outside, as the fur is still in beautiful condition and has a faux collar. 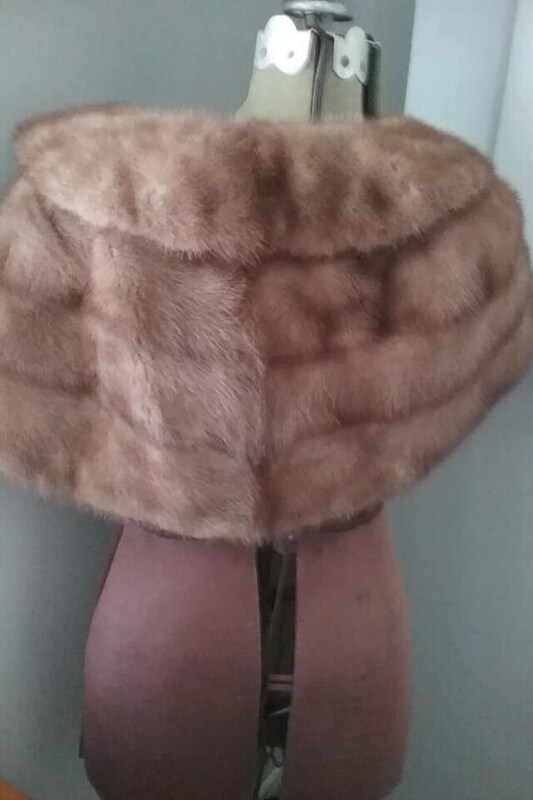 There is no stiffness to the fur, soft and plush, the guard hairs are long and glistening, Back gives some length to keep warm. 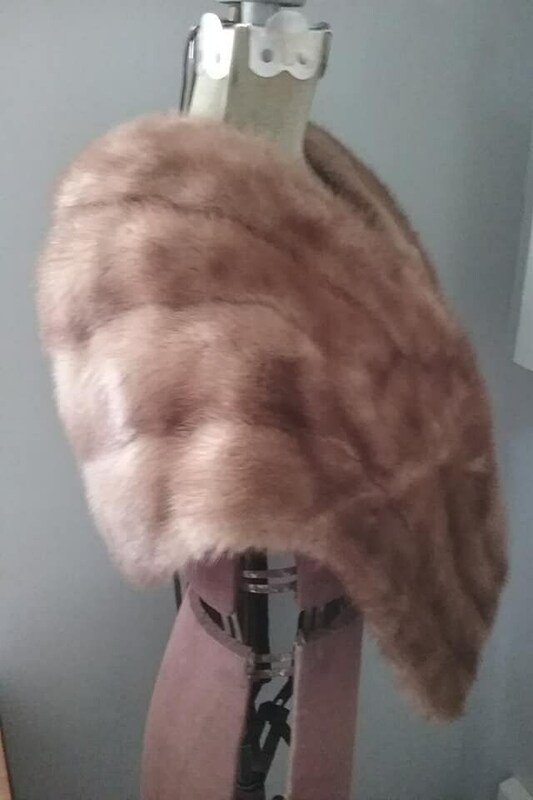 The approx dimensions are 18.5" from shoulder to bottom, back is 13.5" from top of collar to bottom. 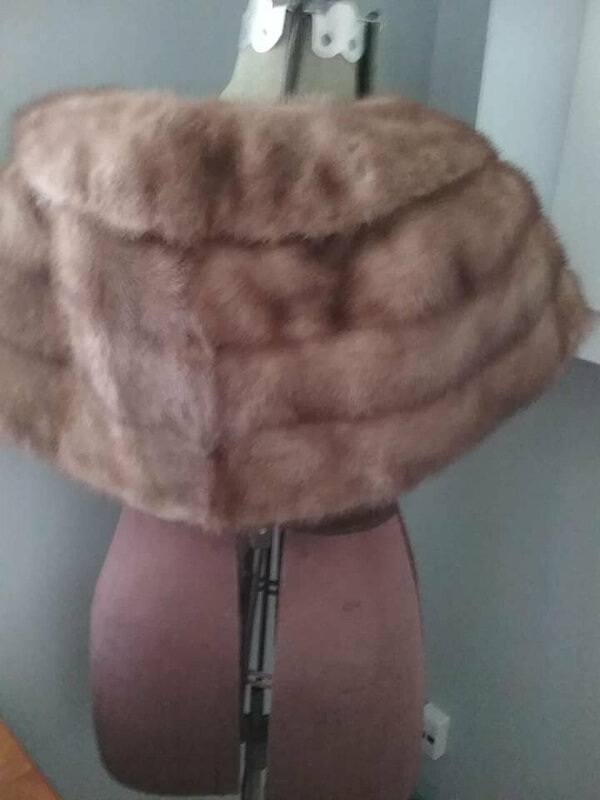 The shoulder is one size fits most. This is a stunning vintage stole which has been kept in beautiful condition.